I have spent three summers in Israel, but this is my first September 12th in the Land of Milk and Honey. So far, I am loving it and I think the chagim (high holidays, Rosh HaShana through Sukkot) are set to be my favorite time of year in Israel. First of all, the weather is quite lovely. It is starting to cool down, and by 5 pm or so it is already sweater weather. So it is a nice mix of summer in the morning and a chance to preview your fall wardrobe in the afternoon (even though I doubt so many other people in Jerusalem dream about back-to-school shopping and blazer season followed by chunky sweater season). On my walk home from work around 11 pm, it is chilly at first but by the time I make it to the tram, I am already warm again. It is nice to feel the crisp air, smell Jasmine plants and see flowering bushes overflow from gates and walls. For me, this is a truly Jerusalem sensation. 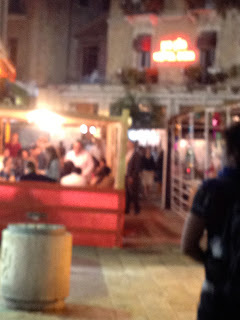 There is also a really festive atmosphere in Jerusalem. Israelis love to celebrate. Everyday, I see either a religious party or a birthday party or a bunch of people just celebrating for no reason. People are constantly barbequing in the parks and blasting dance music. Everyday here is a reason to eat cake. So when there is actually a real festival, it is quite exciting. Supermarkets are having special pricing. People sign their emails wishing a happy new year. Even store venders will wish you a happy new year. Outside the shuk, there is a booth selling stuff you might need for the chagim and for the year to come: pots and pans at a special price, tablecloths, sheets sets (for all the guests you will be hosting presumably), new years cards with French, English and Hebrew on them, calendars and more. Which brings me to my next point: presents. The chagim are a great time because apparently people give and receive presents. It is also customary to buy yourself some new clothes, i.e. give yourself a new present. So there is a lot to love about that. Last of all, there is some truly great seasonal produce going on here. You really realize that it is harvest season. I love seasonal things, they were one of my favorite parts about Italy. I loved hearing about the truffle mushroom harvest from my students in the vocational school and seeing my Florentine host mother whip up a cake with whatever was fresh, be in grapes during grape season or chestnut flour during chestnut season. Here, there are pomegranates literally everywhere in the shuk, and two types of long green beans. My guess is that one is sugar snap and the other is string beans, but when I talked to the vender at the shuk he said you had to cook both for about twenty minutes, so that doesn't sound like either. But he said that both types of ambiguous green beans are eaten this time of year and for the New Year. I also bought some special crystallized honey and one of my French roommates plans on making her Tunisian grandmother's special honey-sugar recipe. All in all, this is a beautiful time of year and the chagim haven't even started. It is wonderful to see everyone getting excited and celebrating together. 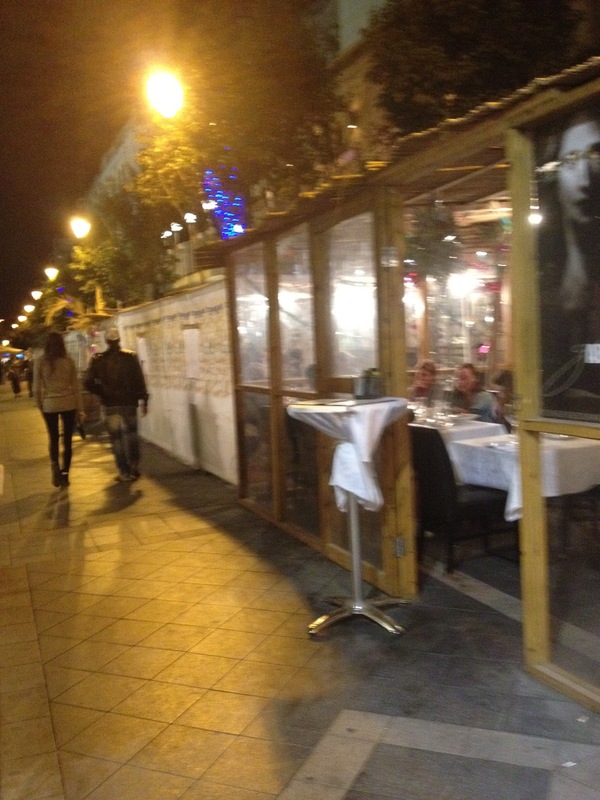 Next up: eating in a Sukkah at any ol' restaurant in Jerusalem.